We all know full well that Mac Blu-ray Player is the world’s very first Blu-ray software on Mac, which can truly make Blu-ray discs playable on Mac operating system. With good fame and high praise, Mac Blu-ray Player is becoming more and more popular. This is mainly because of its full features and easy navigation. As the first universal media player for both Mac and Windows, Mac Blu-ray Player software can support all Mac models and systems. It can also play anything, not only Blu-ray movies, video, audio, but also music and photos. This Mac Blu-ray software is of high technology but easy to use. 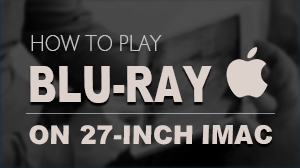 When you open a Blu-ray Disc, the navigation panel will come out, on which there are several items can be set, like title, subtitle, chapter, etc. 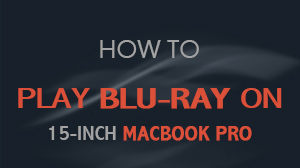 For the sake of tremendous users, there are some parameters can be adjusted in this Mac Blu-ray software. Here we will introduce the "Preference" in details. In Mac Blu-ray Player software, there are several sections in its "Preference": General, Playback, Video, Subtitle, Blu-ray, yet we will talk about some notable points here. The initial feature that needs to be talk about is Deinterlace in Video. This is especially for some movies with low definition, like self-timer video. But if these videos are played by this Mac Blu-ray software, their definition can be modified to a high level through this feature. First open "Preference" in Tools and then select item "Video". Check "Enable Deinterlace" and then choose the deinterlace mode. For normal videos, "auto" mode is all right. But if for movies with lower definition, "Discard" mode will be fine. "Yadif(2x)" is the mode by which you can enjoy the movie with highest definition. We all know that Mac Blu-ray Player software can play DTS5.1 initially in the world. If you want to enjoy the movie with high audio quality, you only need to check the "Use S/PDIF when available" in the "Audio" item. The detail operation of DTS5.1 playback you can find on How to play DTS5.1 in Mac Blu-ray Player. One thing that is worth specially mentioning is that when you choose language, the "Default Encoding" under the "Text Subtitle Settings" will concert with the reigning language. Also, you can choose any other language you want. 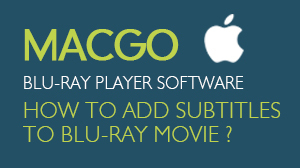 Besides above, there are many other settings in "Preference" of this Mac Blu-ray player software, for instance, "show navigate panel before playback if available", the place of subtitle display, step length of forward or backward, whether to show OSD, whether to show hidden tracks, etc. Through these setting, you can get a perfect outputting quality of this Mac Blu-ray software. However, if you want to cancel all the items you have settled before, you can press "Restore Defaults" and all the settings will return to their source values.